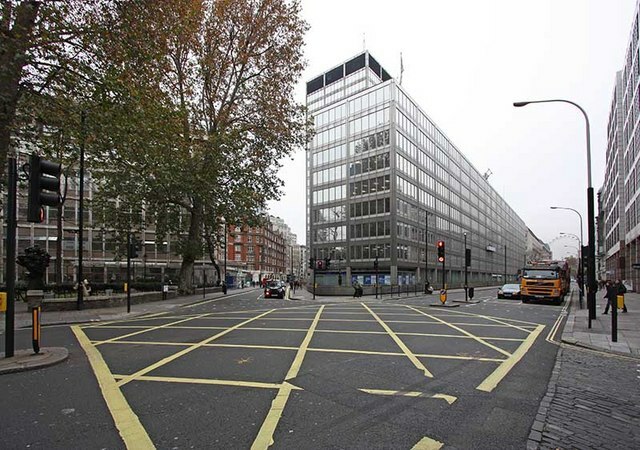 The Police HQ at Scotland Yard – and the inevitability of going round in Circles! It is a common assertion that if one waits long enough then ‘events’ tend to go round in circles. Rarely to they go round so perfectly that we almost go back in time, but that is what the Metropolitan Police is about to do. 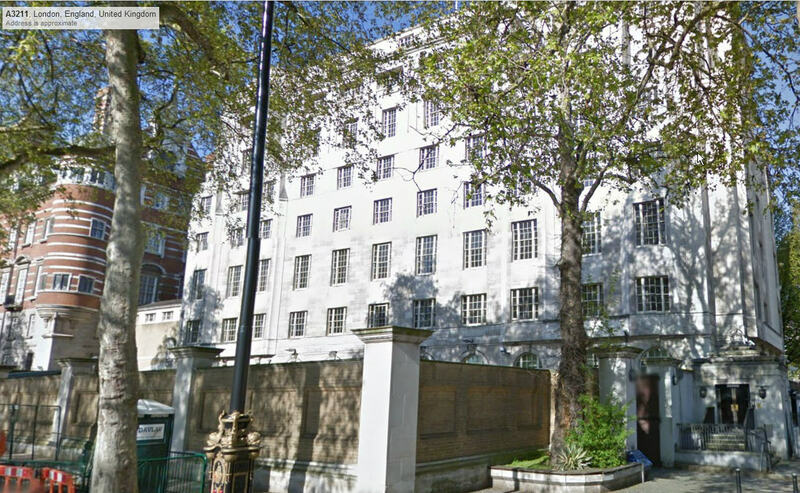 It was announced on 20th May that the Headquarters of the Metropolitan Police was to move. Where is it going? Back to Scotland Yard. The Metropolitan Police was created in 1829 and its first headquarters was in a modest building at 4 Whitehall Place, towards the north end of Whitehall. Although the Commissioners’ Office used this address, the building also backed onto Great Scotland Yard where there was a police station and public entrance, hence the unofficial name ‘Scotland Yard’ being adopted. In 1875 it moved into more suitable premises on the north side of Great Scotland Yard. With natural growth, coupled with acquisition of a huge number of administrative functions not really of a police nature, the building was at bursting point by the 1880s and the architect Norman Shaw was engaged to build a new and much larger headquarters on vacant land along the Victoria Embankment, just north of Westminster Station. It was called ‘New Scotland Yard’, to maintain some kind of tradition. The building was a somewhat eccentric affair and was not laid out with maximum bureaucratic efficiency in mind; a commentator describes it as a Victorian interpretation of a French château, tinged with features of a medieval fortress. A.P. Herbert described it as a castle of a very constabulary kind. It is perhaps ironic that the granite facings of this building were of stone cut by Dartmoor prisoners. The female body from an unsolved murder was found during the building works, perhaps the new Yard’s first case. The Commissioner had a nice office with a pleasant view of the river from one of the several corner ‘turrets’ incorporated into his office, but other senior officers were spread about in a most chaotic way. Later commissioners cursed the layout. Over time further bits of space were appropriated for expansion including fair chunks of Cannon Row police station next door. This intolerable position was corrected at the start of the twentieth century when the commissioner insisted on substantial enlargement of the headquarters. The Receiver for the Metropolitan Police District acquired a site next door, but this time appointed the police surveyor (a man called Butler) to design a building, which was a virtual pastiche of the Norman Shaw building, though it was slightly larger. This was available for occupation in 1905 and was linked to the old building via a bridge over Cannon Row (then still regarded as a public thoroughfare, but which, in the infinite wisdom of later governments, is now shut off). This building was known for a while as Scotland House. You will be amazed to hear that in due course of time these combined buildings, plus considerable additional space at Penton Street and in Lambeth Road, also became too small. It was during Trenchard’s period as Commissioner (he of RAF fame) that it was finally accepted that the existing buildings were inadequate and again the Receiver was able to acquire land to the north and build yet another block, again connected to its predecessor via a bridge. No attempt was made to match the style of the earlier construction and it was finished in Portland stone in typical unornamented 1930s style which at least sat comfortably with the new government offices being built next door (intended to house the whole of central government but after the war housing only a fractional part of the war office and air ministry). The new Police building was finished in 1940, just in time to be requisitioned by Lord Mountbatten and his Combined Operations organization. I do not have to hand a date for its occupation by police, but when it was, I believe it to have been called the North Building. Amongst other claims to fame, this building housed the first Metropolitan Police Forensic Science Laboratory (the organization I worked for, though it had moved to Richbell Place by the time I joined). The tedious story of ever-expanding headquarters never (except momentarily) being quite large enough is not one confined to police and it would be extraordinary if the process mysteriously stopped after the war: it didn’t. It was at bursting point in the 1950s but it was not until 1964 that the decision was made to move into modern, purpose-built accommodation in the block bounded by Victoria Street, Broadway and Dacre Street. The site had already been cleared for development and was being developed as a speculative office block. Although radical changes were made to adapt the building for police work, it was never really perfect, and from a security point of view left much to be desired. It was occupied in 1967 and comprised a main tower block facing Broadway, where the entrance was located, and a long, low and uninteresting building along Victoria Street. It is a strange thing but my first job was as a police civilian and my first day was at New Scotland Yard at Broadway. I occasionally went to meetings there (and used the photographic society’s studio there late into the night), and my pass got me into the bar there, called the ‘tank’, which was an appalling place. My next job was with London Underground, with HQ immediately opposite. Sometimes one spotted amazingly senior Met Police officers (very high points in the Eye Spy spotters book) passing through the station to or from the Home Office, then on the other side. I later had an office in Dacre Street overlooking the entrance to New Scotland Yard, and one day a tank drove up to the entrance and poked its weapon through the doors (towards me, as it happens). The tank was I recall bright pink and had a large plastic pig attached to its upper part together with some uncomplimentary messages about the police, following some perceived injustice. I was familiar with the vehicle and had seen it driving around London, spreading the word on and off over the previous year (the fuel bill must have been horrendous). What happened next was hilarious. The tank occupant refused to come out and as it was blocking the doors emergency exits had to be used in order for the building to function. Ever more senior officers appeared, with surprising amounts of silver oak leaves on their caps and weighed down with wire bullion badges on their epaulettes, none of which extracted the occupant. Then the TV crews turned up. I couldn’t watch indefinitely so didn’t see how it had ended, but it had gone when I got back from a meeting. Shortly after that, security went up a few notches in the true tradition of closing stable doors – if a harmless crank could do that, who else could? So now they are on the move. The Commissioner and his entourage are returning to the first New Scotland Yard. The Norman Shaw building is now occupied by members of parliament, luxuriating in previously undreamed of office occupation and the building serves as an annexe to Portcullis House, the new parliamentary building above Westminster station, to which it is connected. I do not know who now occupies the middle block. The police are now returning to the 1940 north block opposite the Ministry of Defence building. The interconnection between the four buildings is an interesting accident of history and it is mildly amusing to consider the forces of law and order at one end of the blocks and the law creators at the other (where the real criminals are, as one wag put it to me!). The north block building intended for the new HQ represents only about a quarter of the area of the three former police buildings on this site, and maybe a sixth (perhaps less) of the floorspace of the 1967 building, so clearly many departments that previously shared Scotland Yard will need to be housed in the provinces (like Barnes, Harrow and other handy places). I’m not sure we have a date yet (‘by 2015’ has been stated). The Embankment building has acquired the name ‘the Curtis Green building’; this is the name of the architect who designed it, but I’m not sure it is its ‘official’ name and I don’t think it was use when it was part of the old New Scotland Yard. In any event, we are told it will be renamed ‘Scotland Yard’. I bet it isn’t big enough. 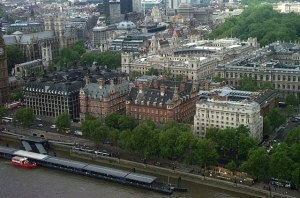 3 Responses to The Police HQ at Scotland Yard – and the inevitability of going round in Circles! I worked in what was then called “Norman Shaw North” in the late 1970s and until the 1983 general election. At that time, both it and “Norman Shaw South” were offices of MPs. I was researcher for an MP whose own office was in the Palace of Westminster itself, so I was kept fit walking back and forth via a tunnel under Bridge Street which may or may not still be there. The offices in NSN had then recently been tarted up and were pretty nice to work in. Rooms facing County Hall across the river were much sought after. You get to see that view in Hitchcock's 1929 film “Blackmail” (his first talkie), set partly in Scotland Yard.